Welcome to the Newly Redesigned MVS Blog! Hello and welcome to our newly redesigned website and blog! We’ve tried to make our site more user friendly and educational for our clients and we will be adding articles on horse health, special reports and other topics for our clients on a regular basis, so please check back often. We also have updated information on our Dedicated Days program (set up to help you save on call charges), hours of operation, staff bios, helpful links and more. Look around and let us know if you have any suggestions! Also, we will be updating our blog much more frequently with news on horse health, Ask A Vet questions, the latest happenings at MVS, interesting cases we’ve seen and much more. We hope to see you around often, and look forward to building an even stronger relationship with you, our valued client. Don’t forget to like us on Facebook! We post clinic news, links to interesting articles, webinars and podcasts, photos and we’re starting a weekly contest on random horse trivia on our “Horsin Around” tab. Don’t pass up your chance to show your equine knowledge and win prizes! 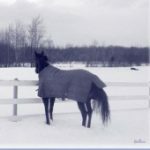 Lastly, we hope as we go into the holiday season and these last weeks of 2011 that you, your family and your equine friends had a truly great year and we look forward to being an even bigger part of your 2012. HAPPY HOLIDAYS!